With the holidays over, it’s time to be more conscious of your budget in this New Year and the economic landscape. So Boost Mobile, the Sprint MVNO, will begin offering the Samsung Replenish for $99 starting January 16 on their $55 unlimited plan. 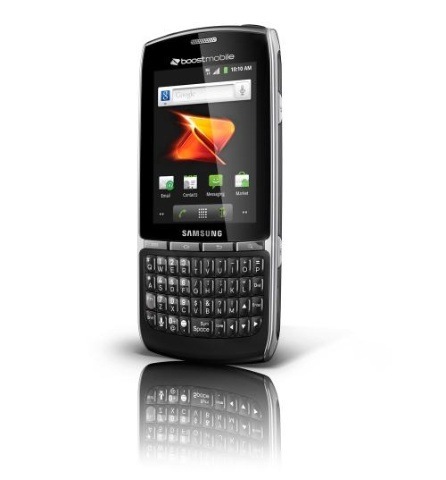 The Boost Mobile-labled Samsung Replenish will have Android 2.3, 2.8-inch touchscreen, a QWERTY keypad, 2 MP camera, and Wi-Fi. Boost also offers a unique program where if you make six on-time payments, the monthly rate will drop $5, going as low as $40/mo. That can be good news for those budget-conscious as that is about the best deal out there right now. Sprint’s under-reviewed LG Marquee will be available on Boost Mobile in just over a week on January 23. The 4-inch NOVA display handset will be available for $279.99 with no contract on Boost’s $55/mo plan. Follow the break for more info on this nice prepaid device.